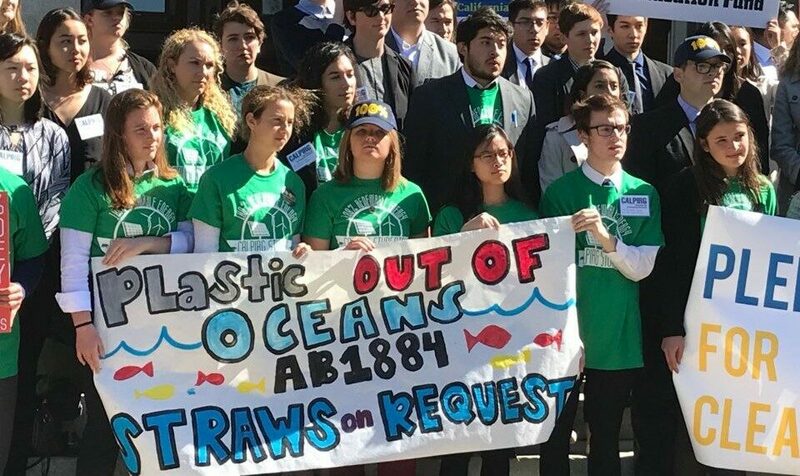 In 2014 we helped pass the first statewide ban on single-use plastic grocery bags in California, and two years later defending the ban at the ballot box. In 2018, our chapters in the Northeast won a campaign to convince Dunkin Donuts to stop using foam cups by 2020. Student PIRGs applauds Dunkin’ Donuts’ decision last week to phase out expanded polystyrene foam (commonly known as “styrofoam”) cups from its stores by 2020.The change will remove around a billion polystyrene cups, which pollute the ocean and can take centuries to biodegrade, from the waste stream.